The Summon Night series is coming to the PSP. For those who don't know, Summon Night is a strategy simulation RPG series from Banpresto (Namco Bandai for the DS versions). Summon Night and Summon Night 2 were both released on the Sony Playstation in 2000 and 2001 and later rereleased on the Nintendo DS in 2008. Summon Night 3 and Summon Night 4 were released on the Sony Playstation 2 in 2003 and 2006. Now, in an announcement in V Jump, Namco Bandai will be remaking Summon Night 3 and Summon Night 4 for the PSP as well as releasing the new latest game in the series, Summon Night 5, for the PSP (No love for the Vita?). The original Summon Night and Summon Night 2 will also be made available in the Playstation Archives in the Japanese Playstation Store at half price for a limited time. Very little information aside from the main characters and pictures of the surrounding world has been released. 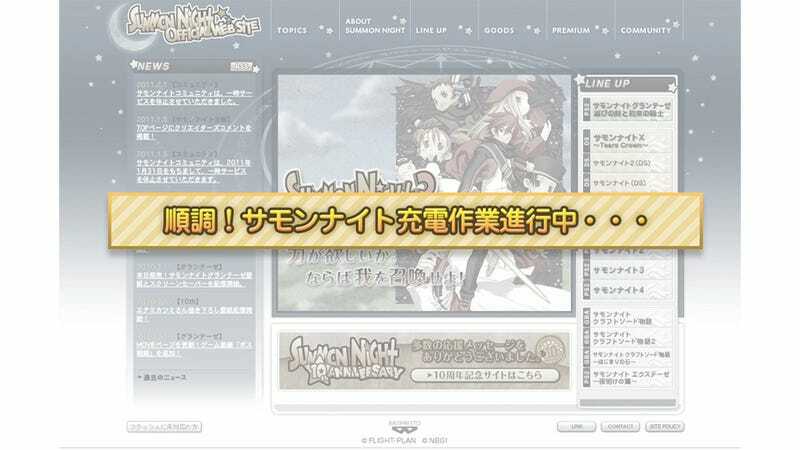 At present, the official homepage is under reconstruction, but once they're back up, we can expect more news about the new game. Summon Night will be available on the Japanese Playstation Store on July 21st for ¥300 (US$3.82) until August 28th, and ¥600 (US$7.64) from August 29th. Summon Night 2 will be available on the Japanese Playstation Store on August 29th for ¥300 (US$3.82) until September 25th, and ¥600 (US$7.64) from September 26th. Summon Night 3 will be out for the PSP in Japan on October 4th. Summon Night 4 will be out for the PSP in Japan on November 5th. Summon Night 5 Does not have a release date as of yet.